Here's what I bought with my budget for the month of April! 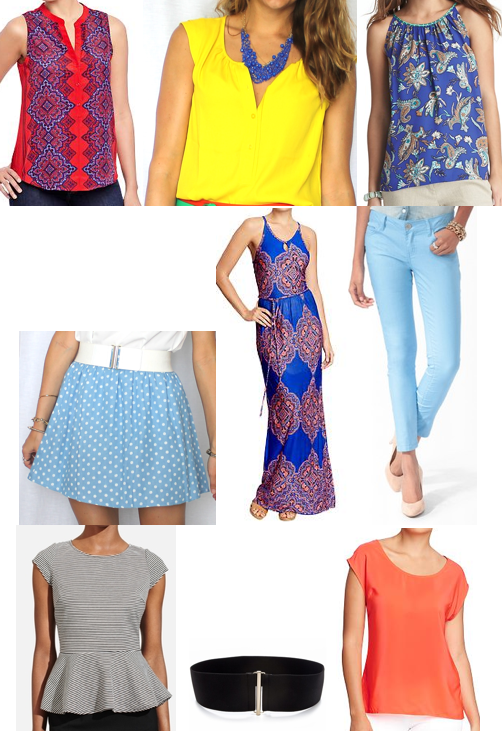 Items on my wish list included a canary yellow top, a neon orange top, and baby blue jeans. The rest of the items were fun things that caught my eye for a good price. Below are my top picks for May. I haven't been shopping in weeks and can't wait to check these items out in person! What colors or styles are on your wish list for May? 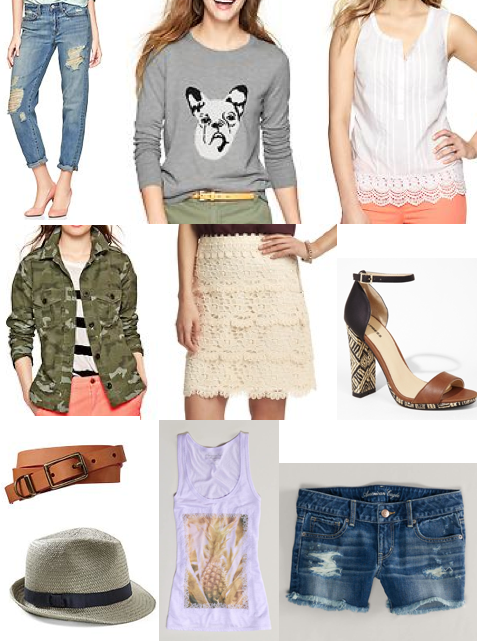 See "How to Set a Clothing Budget" for more info. ps. Here are some coupons!